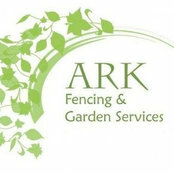 Garden Services - We offer a complete garden maintenance service to both domestic and commercial clients. 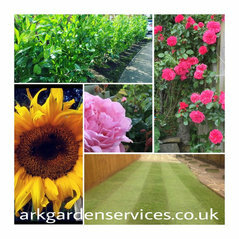 We can offer a service to suit your budget and garden needs. Landscaping - We can move the earth!.. level off areas, build retaining walls, raised borders, veggie plots and many aspects of hard landscaping. Creating practical and aesthetically pleasing results! Fencing - Offering a range of styles of fencing installation including feather edge, slat, ranch, panel & picket, using fully treated timber posts or concrete posts. 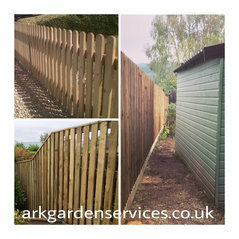 Quality workmanship to complement any garden. Hedge Cutting, Shrub Pruning & Tree Work - Skillful hedge cutting and shrub pruning at affordable rates. 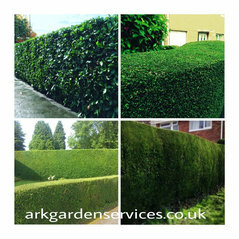 Whether you are after super straight lines or prefer an organic shape, our hedge cutting services are excellent. We are tidy too! 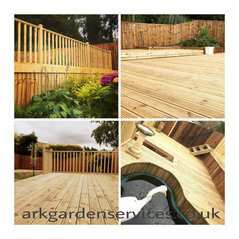 Decking - Built with craftsmanship and skill, our decking structures are pleasing to the eye and practical. We can create a design to suit your needs whilst working around existing features. Built to last! Gates - We provide an installation service for wooden or iron gates and driveway gates. 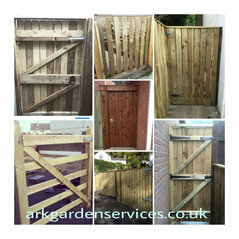 Timber gates are made to measure on site with skill using top quality timber. We can also fit gates off the shelf. 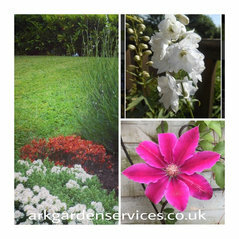 Planting & Turfing - Using the right plants, shrubs and trees we can create something beautiful yet suitable for your requirements. We can lay turf to create an instant lawn, or use seed and lawn care techniques. 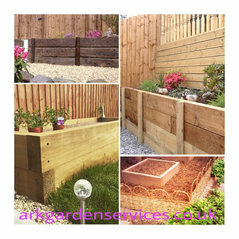 Planters & Raised Borders - Made to order planters and raised borders to suit any style of garden. 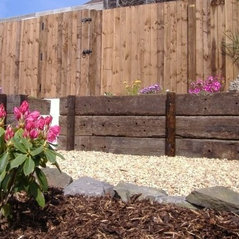 We can create these using railways sleepers (both old and new), decking, log lap, 4 x 1 or any treated timber of your choice.